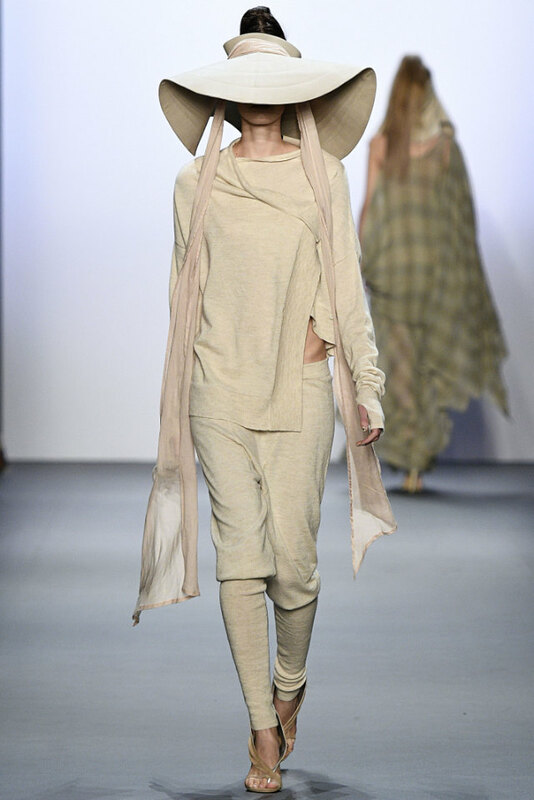 Nicholas K. makes for a perfect start to our coverage, with a collection made from sustainable materials. 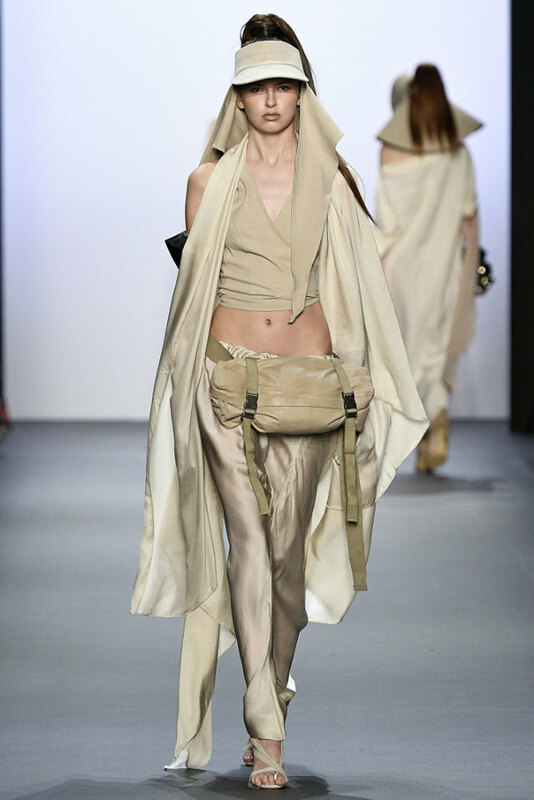 Nicholas K.’s Wadi Rum collection, named for a protected desert wilderness area in Jordan, transported guests into a laid-back environment. 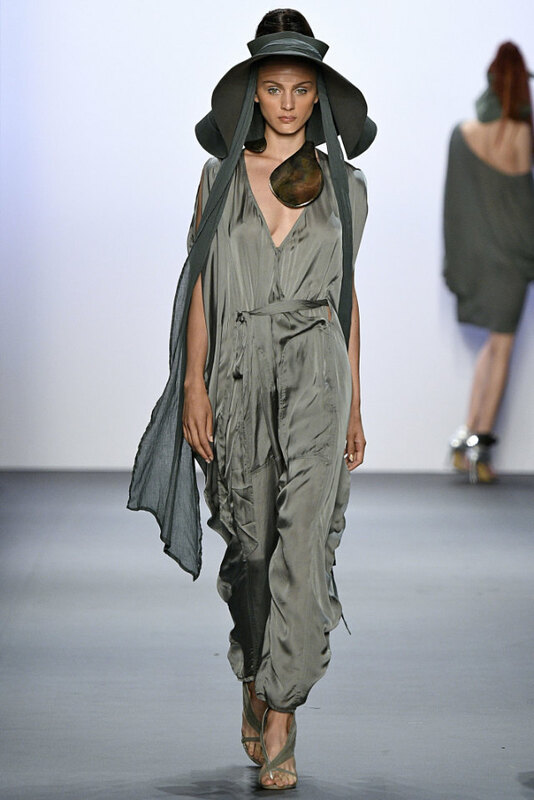 Designer Nicholas Kuntz explored the Bedouin culture. The simple looks were accompanied by elaborate accessories by Lisa Linhardt of Linhardt Design that included massive, yet minimalist, bracelets and necklaces. 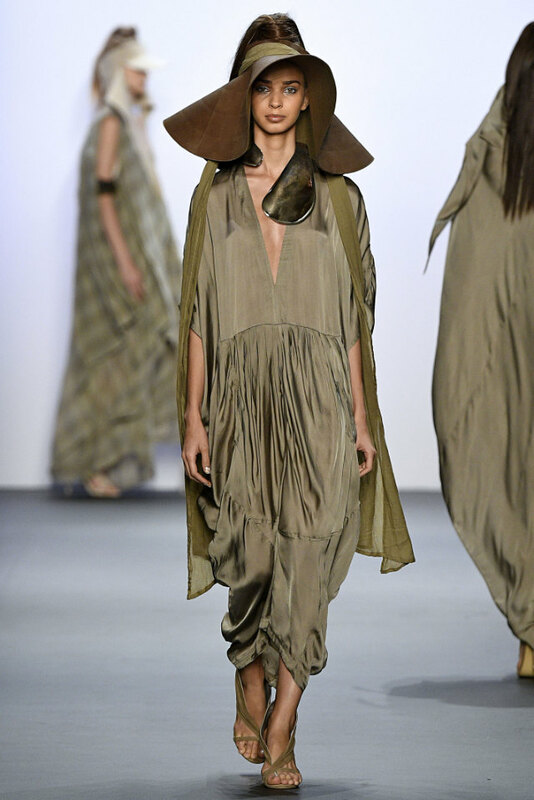 High ponytails and loosely fitting clothes were complemented by oversized, floppy hats. 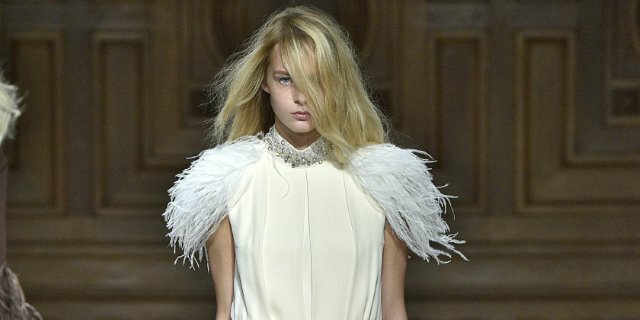 It was an upbeat, chic catwalk show that took us on a romantic journey—and a travel-inspired collection, in our opinion, very much seizes the mood of the time. Who doesn’t want to take a break right now and get away from a world that makes less sense? 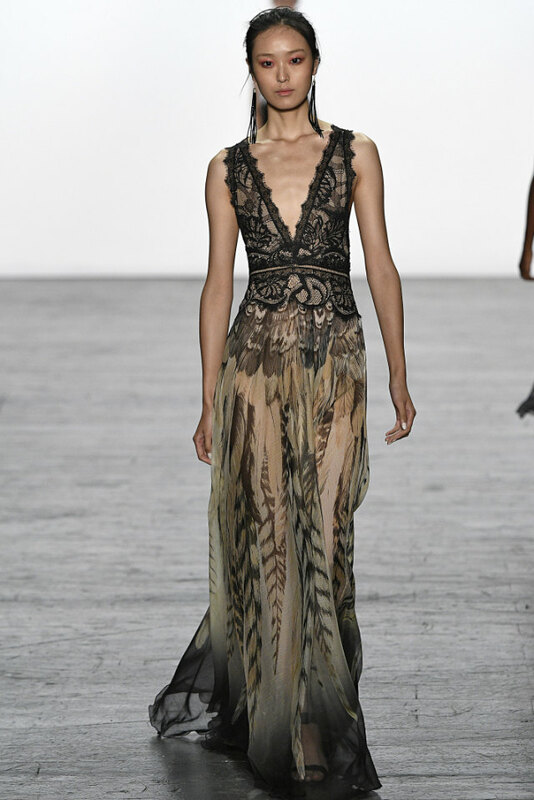 Tadashi Shoji, with his background as a painter, brought the allure of art to the runway in his spring 2017 collection. Shoji was inspired by the floral symbols and hues from the artist Wu Junyong. A screening of Junyong’s visual film The Flying Ark played before the show. The audience were captivated by the images of animals and nature on screen. This æsthetic was transported to the feminine drapery of the gowns on the runway. Models were adorned with garments reflecting nature’s hues, such as red, white, deep blue and green; and flora and fauna symbols appeared on lacy drapery. Inspired by a past exhibiton in Stockholm, Stripes, Rhythm and Direction, Wang explored the relationship between masculine and feminine cuts in her designs. Pinstriped pant suits and blazer tops are contrast against loose, frayed edges. 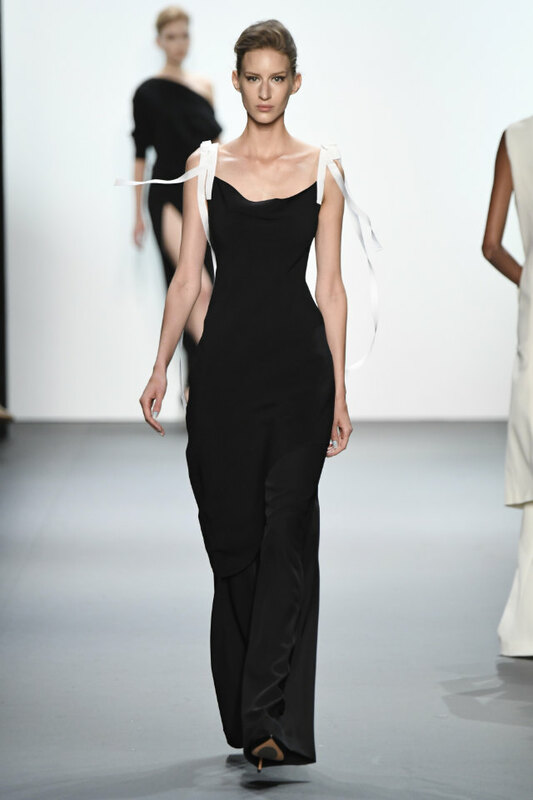 Combining both tailoring and movement, Wang designed a range of garments including suits, dresses, shirts and skirts. Functional, the looks can transition from day to night. The allure of the Upper East Side and socialites in the ’50s brought Chiara Boni La Petite Robe’s spring 2017 collection to view. The fashion show opened with a video directed by Stefano Poletti, highlighting the glamour of the 1950s. A ’50s film star æsthetic featured throughout the collection with big hairstyles. 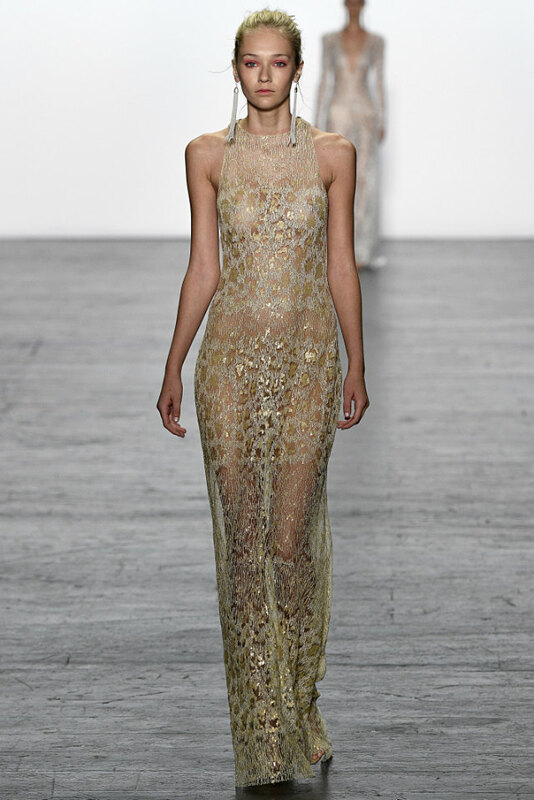 The low-cut, tight-lined dresses highlighted the silhouttes of the models. Electric blue jumpsuits were contrasted with navy blue dresses, featuring the classics ’50s white cuff. 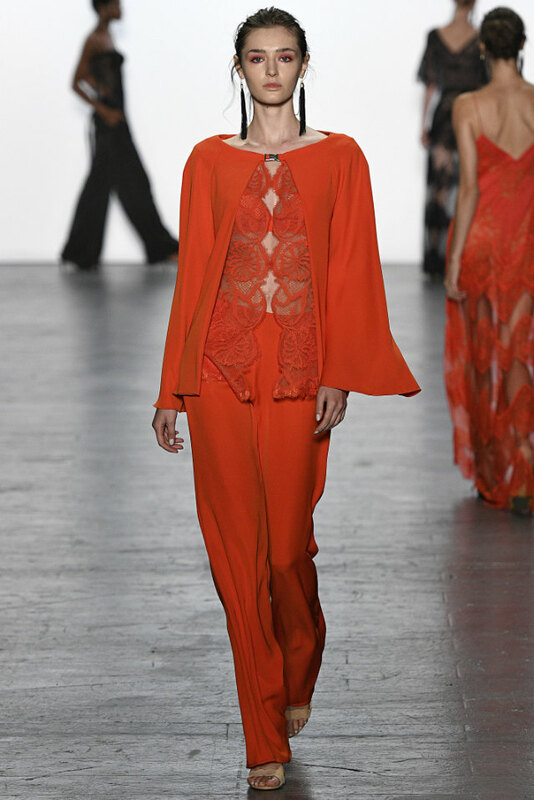 Boni paired her signature jersey material with delicate lace sleeves on some of the garments. Although she references the ’50s in her collection, the garments are tailored to fit the modern-day woman, nostalgic for a glamourous and seductive look.